The trial of former IRA chief Brendan ‘Bik’ McFarlane was brought to a sudden climax on Thursday afternoon, when the non-jury Special Criminal Court in Dublin dismissed all charges against him. The INLA have denied any involvement in the murder of 22 year-old Derry man Emmett Sheils, who was shot dead in Derry on Tuesday morning. The family of a County Tyrone man shot dead by the British Army 20 years ago has said the publication of a report into his killing marks the “beginning and not the end” of their fight for justice. Sinn Féin President Gerry Adams has confirmed that he has met with the Protestant Orange Order to discuss the infamous Drumcree parade in Portadown. Sinn Féin President Gerry Adams has accused unionists of “irrational hostility” to the Irish language and Irish speakers. A prominent republican hardliners has accused the PSNI police of following him on holiday to Spain in an attempt to recruit him as an informer. Sinn Féin is embarking on a more active engagement with those in Britain who support Irish unity and is seeking to produce “a renewed strategy able to advance republican goals”. The £6 million for Irish language broadcasting is the clearest signal yet that all is not well with the power-sharing arrangements at Stormont. The European Union is generating its own crisis as the Eurocrat ‘elite’ refuses to accept Ireland’s NO vote in last week’s referendum on the Lisbon Treaty. A boy from County Donegal killed by unionist paramilitaries was shot down using a standard-issue British Army sub-machine gun, it emerged this week. Members of the British Crown forces were lucky to escape with only minor injuries following a roadside landmine attack in County Fermanagh at the weekend. Seven years after the blockade of a north Belfast primary school by unionist paramilitaries, the mother of one former student has taken her legal challenge over the handling of the 12-week Holy Cross protest to Britain’s highest court. The 32 County Sovereignty Movement has claimed that the Drumcree parade in Portadown is likely to go ahead this year for the first time in 11 years. Irish Republicans were divided this week as US President George Bush visited Belfast to support the Irish peace process while evading questions over his war in Iraq. The people have spoken. The Lisbon Treaty is dead. Now it’s time for Plan B. There is an obvious and simple way that the EU can respond to Ireland’s rejection of the Lisbon Treaty: continue as it was. In a shock for both the Irish and European political establishment, the European Union’s Lisbon Treaty has been defeated in Thursday’s 26-County referendum. First results from the Lisbon Treaty referendum have confirmed that the treaty is set to be rejected by the Irish electorate. Counting of votes in the Lisbon Treaty referendum began at 9am today, and early tallies show the vote leaning toward the ‘No’ side. The outcome of the Lisbon Treaty referendum is thought to be close following a relatively high turnout of voters on Thursday. 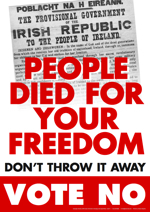 Irish voters are being urged to go to the polls today to say ‘No’ to runaway plans by the European bureaucracy to create a superstate at the expense of Irish sovereignty and neutrality. A mob of loyalist bigots gathered outside the gates of a school in County Derry on Tuesday to jeer and hurl sectarian abuse at the President of Ireland, Mary McAleese, and her husband Martin. The leaders of the four parties that make up the northern Executive have not formally met since power-sharing was established in May last year, it has emerged. 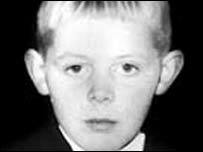 The trial of senior Provisional IRA figure ‘Bik’ McFarlane has opened at the Special Criminal Court in Dublin. There were jubilant scenes in a Belfast court this week as six Derry anti-war protesters were unanimously acquitted of destroying property belonging to multinational arms company Raytheon. There have been calls for the DUP’s Iris Robinson to resign as chair of the Assembly’s Health Committee following her extraordinary outburst against homosexuality, which she described as a mental illness and “an abomination”. Forty years ago a family’s decision to make a stand over housing set in motion a chain of events that would give rise to the civil rights movement. Welcome to the most surreal week in the history of Irish politics. The new First Minister, Peter Robinson, and Deputy First Minister, Martin McGuinness, today start talks with British Prime Minister Gordon Brown to try to resolve key issues troubling the peace process. The number of people intending to vote ‘No’ to the European Union’s Lisbon Treaty has almost doubled in three weeks, according to the latest poll. Ian Paisley left Stormont Castle as First Minister for the last time yesterday, blowing the building a kiss. Sinn Féin’s Tom Hartley was elected as the new Mayor of Belfast on Monday night, narrowly defeating the DUP’s Diane Dodds. A leading human rights expert from the United Nations has expressed deep regret that he had been unable to save the life of Lurgan lawyer Rosemary Nelson. A group of former IRA prisoners living in the US has launched a campaign to secure their legal status there. Belfast City Council took an enlightened step forward in the politics of reconciliation on Monday night when it elected Sinn Féin councillor Tom Hartley as its mayor. He’s gone, the oul curmudgeon, and good riddance. A potential political crisis in the North has been averted after Sinn Féin agreed to resume power-sharing alongside the Democratic Unionist Party tomorrow ahead of talks in London on Friday. Sinn Féin’s Martin McGuinness has said he hopes outstanding issues in the peace process can be resolved in time to allow tomorrow’s nomination of the DUP’s Peter Robinson to replace Ian Paisley as First Minister.